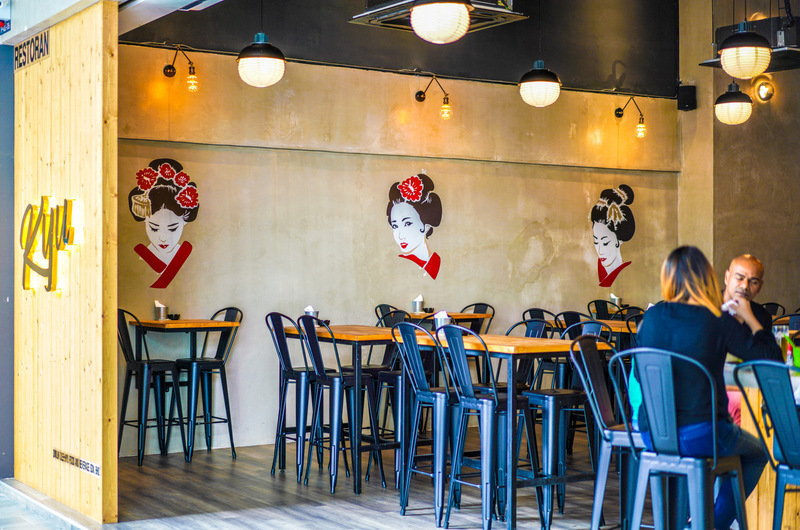 Tropicana Avenue's latest watering hole tackles Japanese skewers and small plates in a warm, welcoming space: Of the yakitori, the bonjiri (RM6) fares best, with the unmistakably rich taste and juicy texture of chicken tail meat; the soft bone (RM5) and thigh (RM4) might not prove as gratifying, the latter notably suffering from some dryness here. 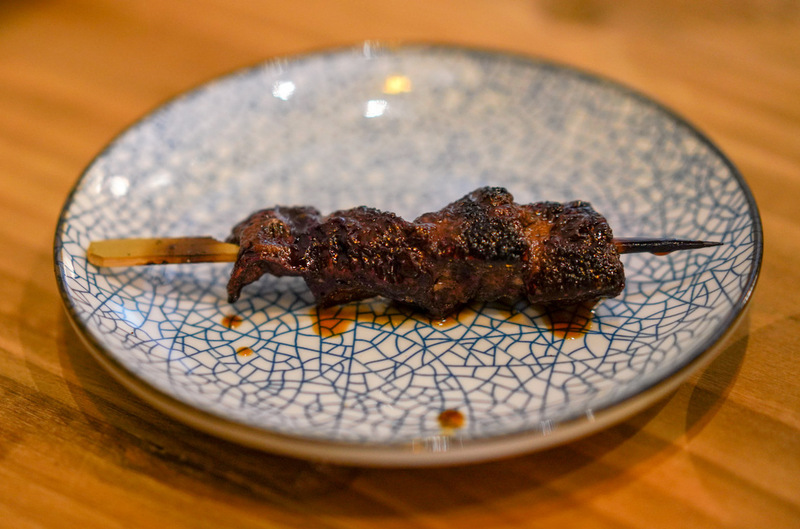 The liver (RM6) is our favourite among the pork-based kushiyaki, outdoing the pork neck (RM6) and belly (RM7), as well as the beef tongue (RM12), for sheer succulence. The sticks are served with green chilli sauce, an interesting choice that might reflect the Southeast Asian heritage of the chef (we were told by the service team that he's of Malaysian and Thai descent). 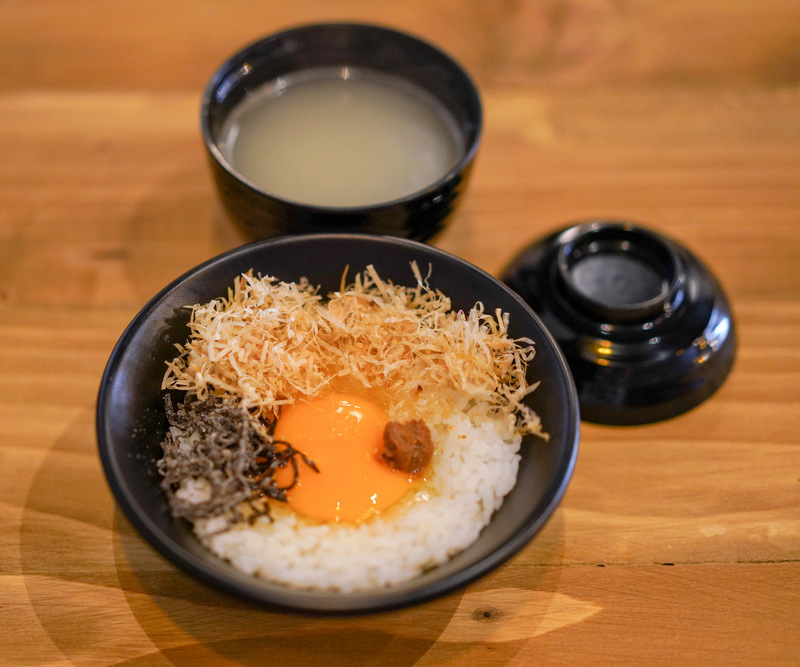 For light bites, a bowl of steamed rice with a raw egg, smoked skipjack tuna, salted kelp and miso paste (RM10) is an offer that egg enthusiasts can't refuse, complete with an umami kick. 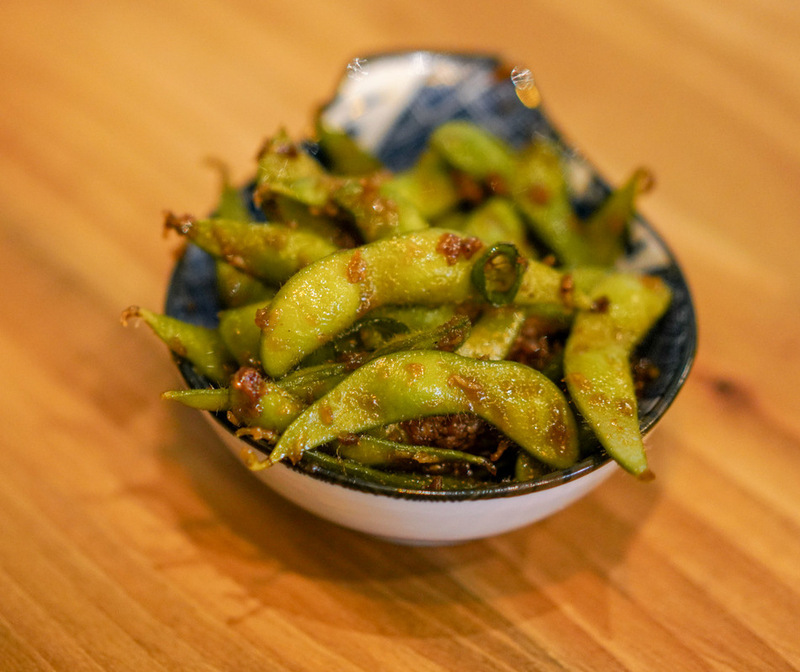 The aromatically garlic-spiked edamame is also intriguing, stir-fried with a surprising spiciness (RM9). 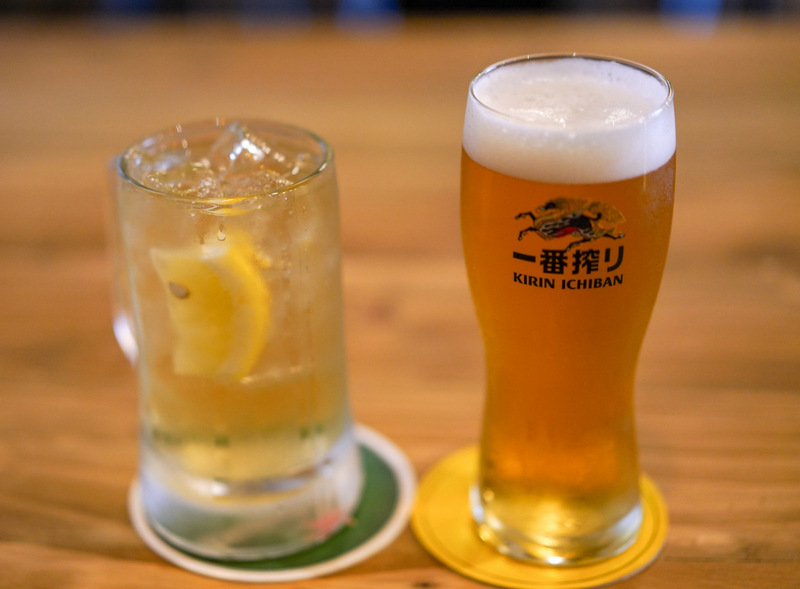 Wash down with Kirin and Kakubin. 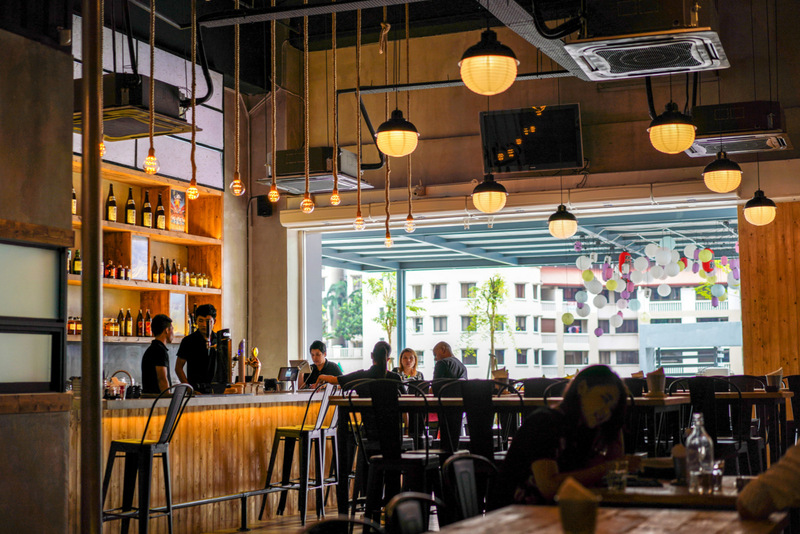 P-02-05, Tropicana Avenue, 12, Persiaran Tropicana, 47410 Petaling Jaya, Selangor. 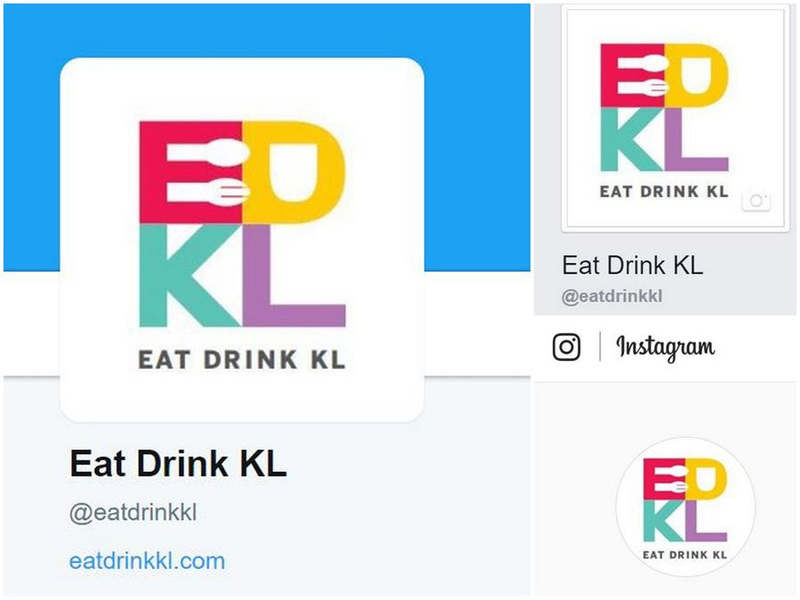 Daily, 4pm-12am. 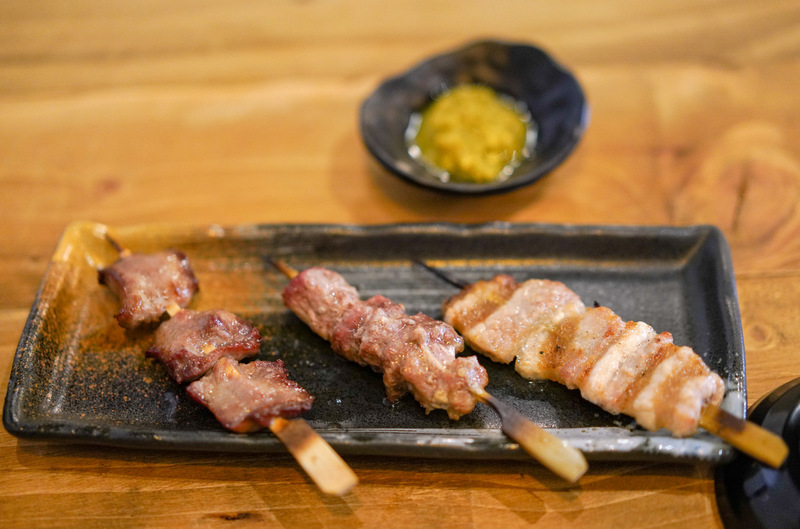 I have developed a liking for those Japanese skewers. True, some of them tend to become dry. The skewers look perfectly done! Yeah flavoured edamame, I've cooked some before!